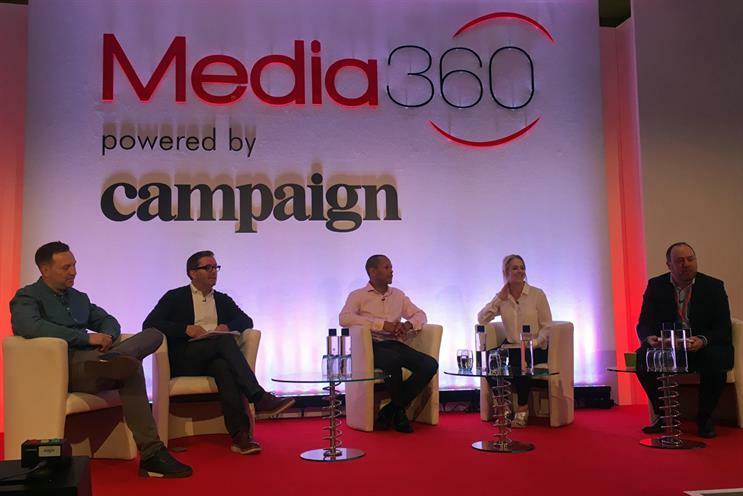 No matter how or when Brexit is finally resolved, the industry needs to "barrel through" and make it work, James Murphy, founder and group chief executive of Adam & Eve/DDB urged at Media360. During a panel on Brexit, brands and businesses, Murphy said it was the job of the industry to make this work. "Our industry is flexible and energetic so it will make it, how we do it will be interesting," he said. "London has such gravitational pull for creative talent that I think London will barrel through I feel less confident outside London." Luke Bozeat, chief operating officer of MediaCom, was more positive about the regions, but feels strongly that the UK has to take Brexit as a chance to reexamine its immigration laws for highly-skilled talent. "Renewing work visas is very hard to do at the junior levels and very costly. We need a different process to make that much easier for businesses," Bozeat said. Pro-Brexit political journalist and commentator Isabel Oakeshott asserted that whatever deal the government thrashes out for Brexit, it has to have a "tangible result on immigration". "A Brexit deal that looks like it will continue the free movement of people this will be unsupportable to the Brexit-supporting MPs on whom Theresa May’s government rests," she said. However, perhaps paradoxically, she insisted that the goal wasn't to "keep people out" but to "recalibrate" it. This "recalibration" however is a hard one to pin down. But it's clear that a "global Britain" will not work if businesses cannot recruit globally, Murphy said. "The cheerleaders for Brexit have to give us the condition to act globally because skilled migrants create jobs, not take jobs. We won a large global client and brought in key talent from outside the UK who were experts on the client and the result was the account created 15 more jobs," he noted. Brexit should make it easier to hire the best talent globally, insisted Dominic Carter, group chief commercial officer at News UK because "we will have the ability to control our own policies", he said. Regardless of what will or will not happen with the UK's immigration policies, the industry is already working on building the global Britain brand for the creative industries, Murphy said. The Advertising Association has partnered with the UK's Department for International Trade to focus on promoting the export of UK's creative industries to markets such as China and Southeast Asia. Beyond that, perhaps it's time that the UK's ad industry starts to promote Britain positively, Oakeshott said. "Let’s get the best people in this room together and come up with a great set of ads. Get out there and sell the country."